Guess What? Someone just downloaded Twitter’s Vine complete source code. Indian Bug bounty hunter Avinash discovered a loophole in Vine that allowed him to download a Docker image containing complete source code of Vine without any hassle. Using Censys, Avinash found over 80 docker images, but he specifically downloaded ‘vinewww’, due to the fact that the naming convention of this image resembles www folder, which is generally used for the website on a web server. 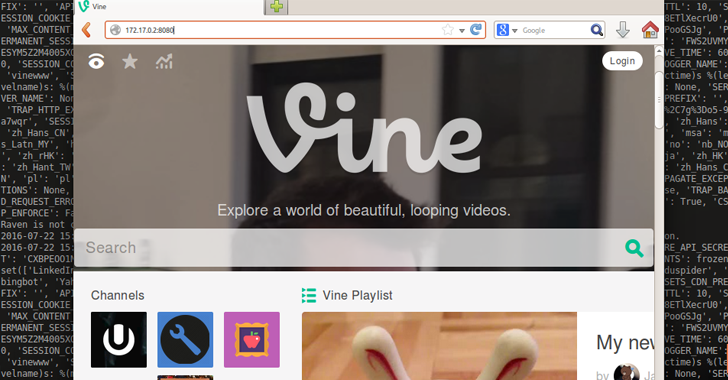 The bug hunter was able to see the entire source code of Vine, its API keys as well as third-party keys and secrets. "Even running the image without any parameter, was letting me host a replica of VINE locally," He wrote.